To understand what goes wrong, let’s first consider how an artificial knee is supposed to work. The replacement joint has to sit right where the knee originally was, connecting the femur, or thigh bone, with the tibia, or shin bone. The new knee must be firmly attached to both bones or it won’t work. Imagine a single hinge holding a door onto a wall and allowing it to swing. If the hinge comes detached from either the wall or the door, the door will pull away from the wall and fall down as it swings. Last year, a group of orthopedic surgeons reported in The Journal of Knee Surgery that this is exactly what happens with a disconcertingly large proportion of Attune artificial knees. While the replacement joint remains solidly cemented to the femur, the lower bond to the shin has a tendency to fail. The cement that should hold the knee to the tibia binds to the bone but not to the Attune device itself. Therefore, the detached joint floats, and just like the failed hinge that allows the door to fall, the replacement knee can’t hold any weight. People with defective Attune knees experience significant knee pain, especially when they try to bear weight on the knee when standing or walking, as well as a restricted range of motion. The study revealed that these problems sometimes occurred within just a few months of the original knee replacement. 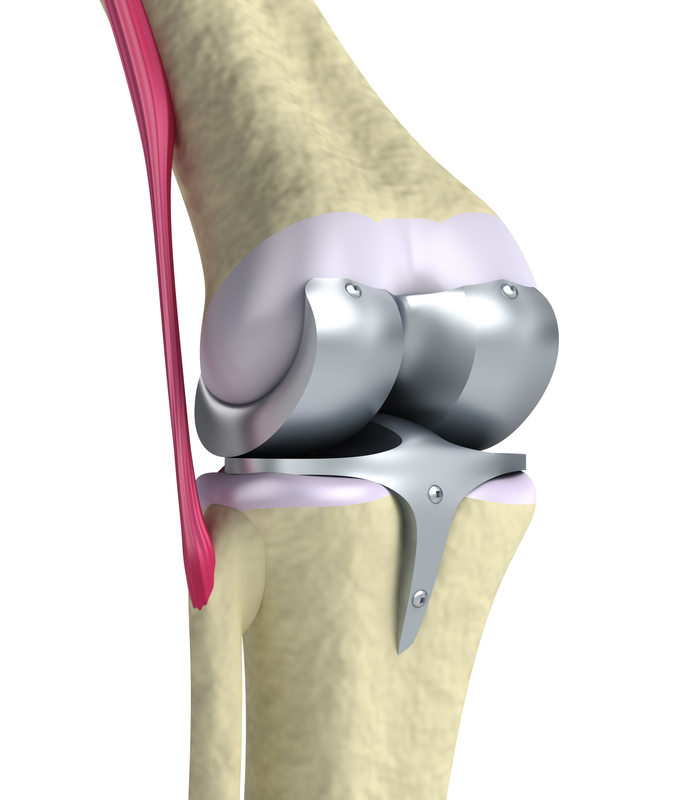 The only way to correct a failed Attune knee is to undergo a second or “revision” surgery. That second surgery—where the useless cement must be removed from the tibia and the solid femur connection must be broken—is more involved and more painful than the initial knee replacement procedure. To make matters worse, the surgeons’ report indicated that the separated knee generally doesn’t show up on X-rays; it can only be detected during the revision surgery. In other words, a doctor may not realize that the replaced knee has failed. The Attune knee’s defects are further evident in the U.S. Food and Drug Administration’s Medical Device Adverse Events (MAUDE) database. Even though MAUDE is a self-reporting system, such that only the manufacturer, DePuy Synthes, can report its knees’ failures, there are dozens of recent reports. The Attune knee has been redesigned and may now be less prone to separation from the shin bone, but the original design has not been recalled, and the recipients of that faulty device have been left to fend for themselves. Fortunately, DePuy Synthes is now being forced to answer for these defects in court. Last September, a law firm filed the first lawsuit involving a defective Attune knee in Tuscaloosa County, Alabama. The case alleges that its client’s artificial knee failed prematurely, resulting in substantial pain, delayed recovery, and significant medical expenses. Expect to see more lawsuits in the future involving Attune knees. These cases are likely to involve not only damages for pain and suffering but also for the costs of the second replacement knee surgery and the accompanying physical therapy. Have you had a knee replacement that ultimately failed or that caused more problems than it solved? We can advise you whether you may have a case against the manufacturer or another involved party. Please contact us to talk with a lawyer about your situation.